I’m finally back in the mood to paint again! Last year, during our home renovation, I was painting walls, trim, cabinets and furniture for months, and I finally had to take a break from it. I still have a few things I want to paint this summer, and I’m so happy that I finally finished the last of the baseboard trim in two of our bedrooms! 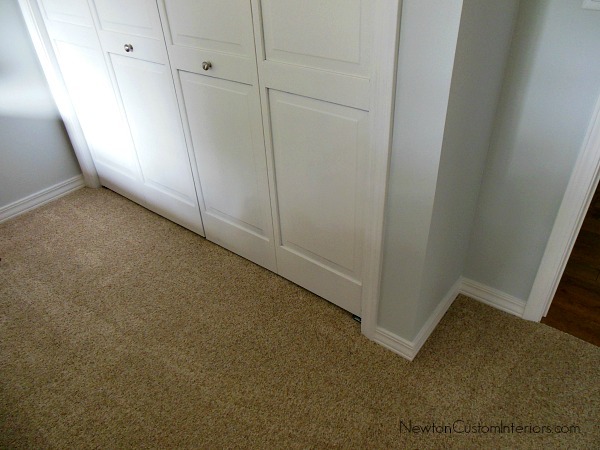 So, today I’m going to share how to paint baseboard trim with carpet. Be sure to check out our How To Paint Furniture page for more great painting ideas, tips and techniques. 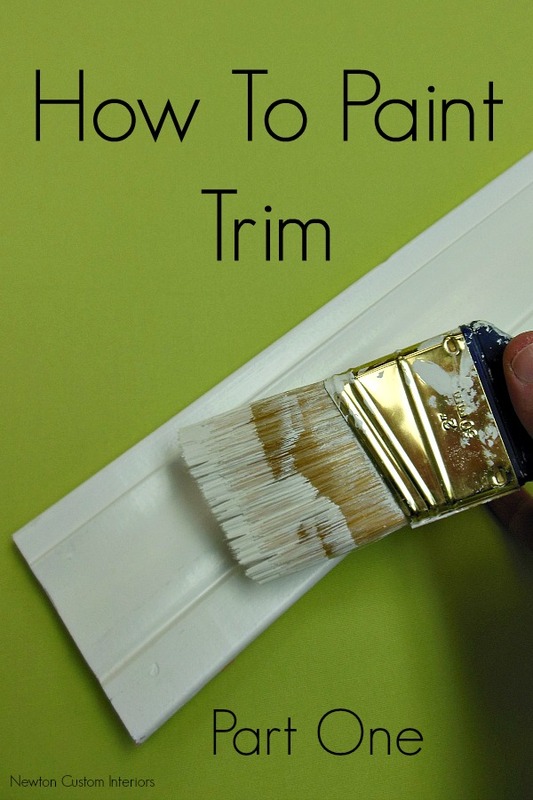 Last year, I shared a video with you about how to paint trim. That video shows how I painted the baseboard trim that had been taken off the walls when our hardwood floors were installed. 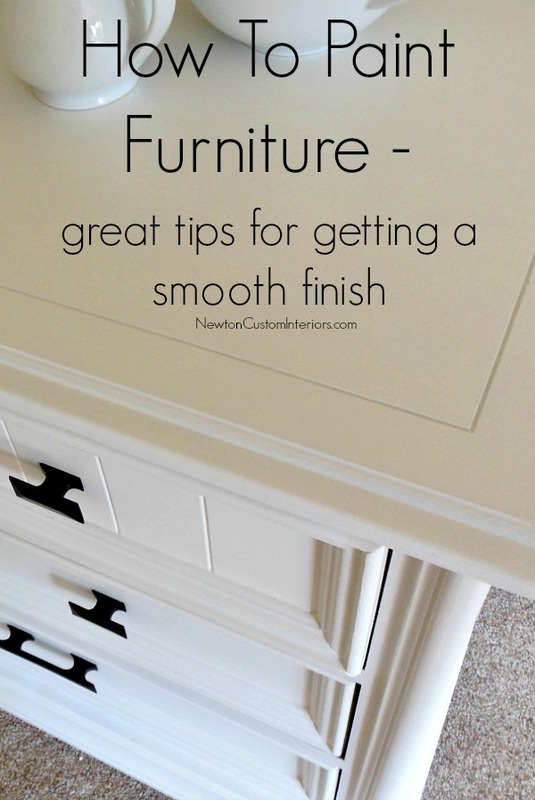 In this post I’ll be showing you how I painted the baseboard trim in our bedrooms that had carpeting in them. I really wanted to be careful of our new carpeting, and I’m pretty happy with how the baseboards turned out. Here’s what one of the bedrooms looked like for the past year. I hired a painter to spray the closet doors, so I had painted the trim around the doors, but not the baseboards. Lovely! This is the bedroom my 5 year old grandson sleeps in when he stays with us. The unpainted trim and the trim paint on the wall must have bothered him too. He kept pointing out that I had made some mistakes when I painted! Here’s what the trim looks like now that I’ve painted it. Ahhh…. so much better! Blue painters tape – This wide tape worked great to tape off the carpet from the baseboard, like I show in the video. When you pull it off, it won’t stick to the carpet and pull up fibers. Wooster paintbrush – I LOVE this paintbrush! The soft rubber handle is very comfortable to use for hours and hours of painting. Pittsburgh Paints Breakthrough paint – color L4. This paint dries fast, and works well for stained wood. If you have oak trim, you will need to apply an oil-based primer for your first coat, and then the Breakthrough paint. Liquid deglosser – (not pictured) I used this product to prepare our varnished baseboards for paint. It can be used instead of sanding the baseboard trim. You must have adequate ventilation to use this product! If you would rather not use the deglosser, you can clean the baseboards with liquid TSP, sand with sandpaper, and use a tack cloth to clean the baseboards after sanding. I’ve created a video to show how to paint baseboard trim on carpet. There are some tips and tricks that I show in the video that makes this job easier. I’ve also written out the instructions below the video. 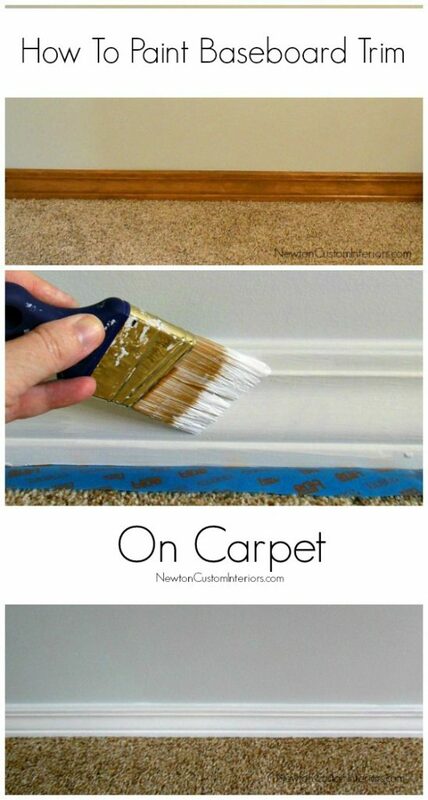 Use blue painter’s tape to tape off the carpet right next to the trim. Try to tuck the tape in under the baseboard trim if you can. Use a liquid deglosser to prep the trim for painting. It cleans the wood and also takes the shine off so that the paint will adhere better to the wood. You must open the windows if you use this product. If you don’t want to use the deglosser – you can clean the baseboard with liquid TSP and lightly sand with sandpaper. Wipe off baseboard with a tack cloth. Apply first coat of paint by starting at the top of the front of the baseboard, working you way down to the bottom of the baseboard. Only paint a small section of baseboard at a time – maybe 12″ or so. (If you have oak trim, you will need to apply a coat of oil-based primer first. The oak will bleed through the Breakthrough paint. After painting the front of the baseboard, paint the top edge. After first coast of paint has dried, caulk the area between the top of the baseboard and the wall. After caulk has dried, paint two more coats of paint. 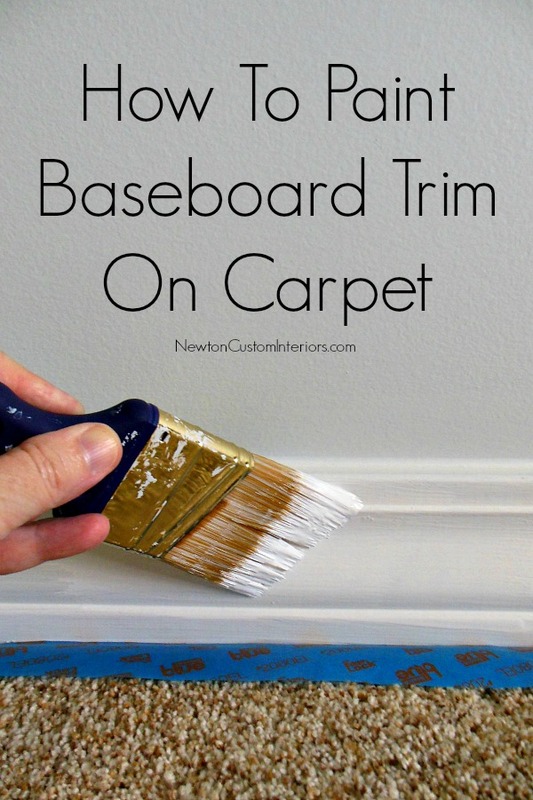 I hope you’ve enjoyed my tutorial about how to paint baseboard trim on carpet today. What do you think about painted trim? Yay or nay? I HATE painting baseboards- hard on this old back and knees!! But I am a lover of that little brush too! It fits so nicely in your hand, doesn’t it? Great video too! Thanks Caroline! Not one of my favorite things to do, but I love the instant gratification of going from wood trim to painted trim! 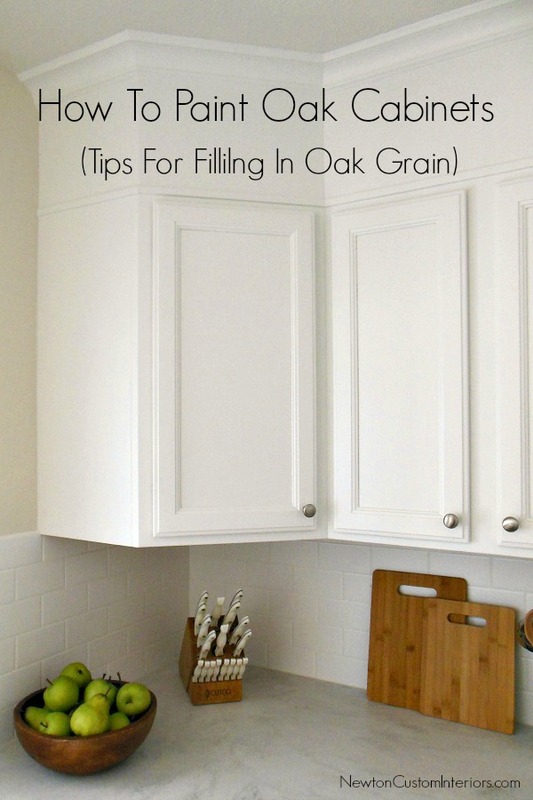 I love how you painted the baseboard trims white! 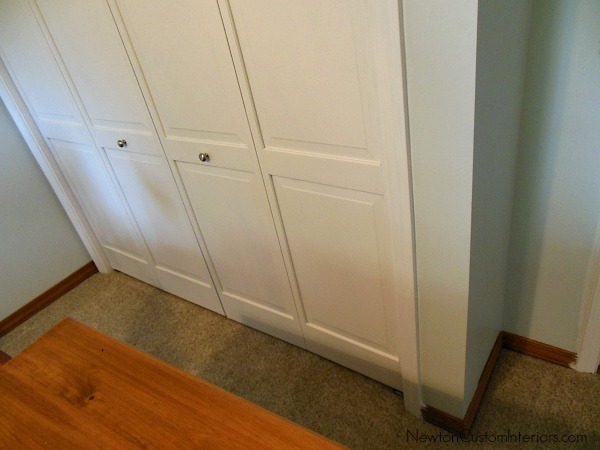 Thanks for this post… I’ve always been intimidated by painting baseboard trims on carpeted rooms. Now I know it’s actually do-able without ruining the carpet.